Of course, you know what you paid for the house and you know how much money you’ve put into it over the years. But that doesn’t mean it is necessarily worth that amount. The market is constantly changing and if you price your home too high, it will discourage potential buyers from putting in an offer, and then you could end up having your home sit on the market for months which is certainly something you don’t want. So, what do you do? Consult your real estate agent before prepping the house for market. Have him/her give you a price on the home, or get a comparative market analysis – and don’t ignore what they say. Find out how much similar properties are going for, and don’t set the price too high. You have better odds of getting under contact that way, rather than listing it way over the amount it is worth in the market. You may have made many updates to your home but you might not get your money back if you are the only home in the neighborhood with such upgrades. If the houses surrounding yours don’t have fancy new kitchens with stainless steel appliances, mahogany cabinets and granite counter tops, don’t expect buyers to pay more for it. Some people only buy and sell homes once or twice in their lifetime. With so much money at stake, get a professional to help you. A realtor knows what is selling around you and how much its selling for. He/she will get your home listed at a reasonable price and when it comes to offers rolling in, they will help you negotiate smartly while also making sure that you get some of the money you’ve put into the home back. ** In the process of listing your home? Click here for more information on our agents and give us a call today at 732-974-2300. One of the most important marketing tools you have is photos you have of your property. Your online photos can be the primary reason when it comes to a buyer deciding on whether or not to get a tour of your home. Blurry, low quality pictures will only drive buyers away so it’s important to optimize any high-resolution photos before uploading them online. Get the best angles of your home, show off the curb appeal and highlight any unique details about the property. You don’t want dark pictures, you want to show off the light throughout your home. If potential buyers walk through your home and find a thing or two that needs to be fixed or replaced, they aren’t going to be interested in putting an offer in and if they do, it will be for lower than the asking price. One easy thing to do to prevent this from happening is to fix the obvious. You don’t need to go crazy and remodel the entire home but DO change the cracked tile, replace the burnt-out bulb or screw the leaky faucet tighter. Un-jam any doors or drawers, get rid of your stained bedding and replace the sheets, and get fresh curtains. These simple changes can make a huge difference on the overall appearance of your home. Clean, clean, clean! Dust, vacuum, sweep, make the beds, and put away all your knick-knacks around the house. Remember, less is more. Prospective buyers don’t want to walk into your home and see clutter everywhere. Buyers are always looking for storage space. No one wants to live in a home where they have no room to put any of their current belongs or nowhere to put their Christmas decorations and photo-albums from their childhood. Clean and organize your closets, cabinets and drawers. It may sound silly but when people are walking through your home – they are going to be going through every space, so keep it organized. Even if your home is short on storage space, get rid of the clutter so it appears that you have more room than you do. Stack your dishes nicely, fold all your clothes, line your shoes up. By having everything set in order, it shows buyers that the home has been well taken care of over the years. As important as the inside of your home is, the outside is just as important. The first thing potential buyers see is the front of your home and the curb appeal, so don’t ignore it. Cut the grass, edge the beds, trim the boxwoods, and add a few flower planters. Make your yard look inviting. The last thing you want is for someone to pull up to your home and drive away before even step a foot in the door because they assume that the inside is just as bad as the outside. Neutral colors provide a blank canvas so buyers can more easily picture their own decorating style inside your home. A fresh paint smell also helps improve odors in your home and makes it appear brand new. Buyers are drawn to bright and airy spaces. Keep the curtains open and crack the windows a bit. It’s a good idea to balance natural and artificial light by placing decorative lamps in key places throughout each room to warm it up a bit. Light a candle or use a diffuser to get rid of any musky smells, you want your buyers to feel as if they are at home when they walk in the door. Social Media is a make or break these days. One way to promote traffic in and out of your home, especially on open house days, is to market it online and offline through a variety of sources such as Facebook, Instagram, the Coast Star, your agent’s website, postcards, or brochures. 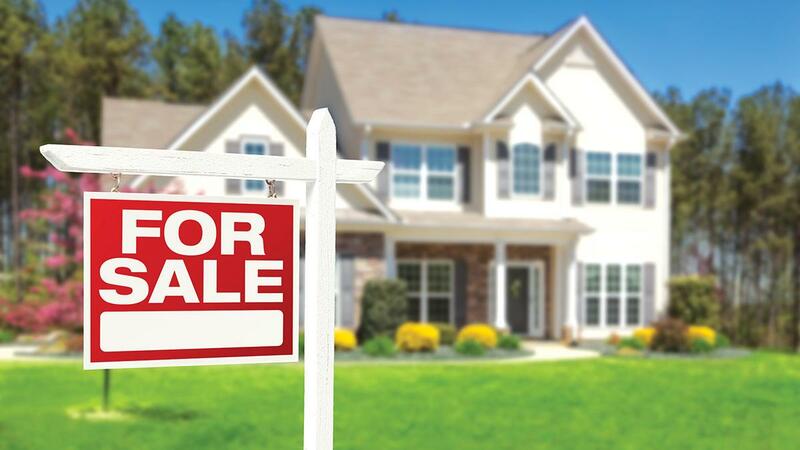 At Ocean Pointe Realtors, we make it a priority to advertise your home on a regular basis. We believe that promoting your home through our social media and marketing campaigns will only better aid you in the process of selling your home. The more people who see your home, the better chances you have of selling it. Yes, it is your home. Yes, you have worked so hard to get it just the way you want it and yes you have made countless memories there. But when it is time to say goodbye and move on, then it’s time to say goodbye and move on. Try to see the many possibilities that are waiting for you after you sell your home. Like the saying goes, when one door closes another one opens.